Here are some of the topics and news items we're tracking for our community this week. Gold member Ian Crook (Pics905) from British Columbia, Canada seeks the best possible "cloud" option for his images, and our members are dishing great advice. 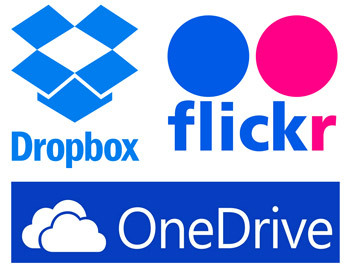 Do people have any recommendations for cloud backup providers such as Dropbox or Amazon? I have three drives at home, but really would like to have off-site storage as well - all recommendations are welcome! • I have been using Mozy home/personal version for years. It is a paid service that I use for photos and other data. It transmits and stores data in encrypted form. You can either use Mozy's encryption key or create your own strong key. I did the latter, in which case Mozy is unable to decrypt my data on their own. And I better not lose the key! Yes-- make sure you get that large cup of coffee, because Silver member Linwood Ferguson (Ferguson) from Florida, USA replied with tons of information. Have you been wondering which way to pursue your cloud storage solution? You need to bookmark Linwood's well-researched post. 2- Tons of slides-- how to save? I have been left with literally several thousand slides from my father. 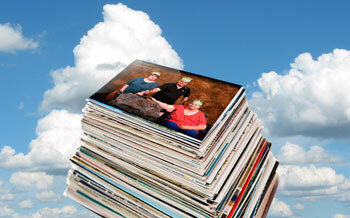 I want to digitize them as to preserve and share them with the rest of my family. What is the easiest way to do this? I looked through this subforum briefly and noticed that many were suggesting a slide scanner or a slide copy adapter that attaches to a camera. I am not really interested in sending them all off to be copied by another company ($$$$) and would like to do it myself. Besides, there is something to be said regarding reliving old memories during the process. David's challenge is the same many of our members have been dealing with and he's already getting some experienced advice. Check it out, and if you have any new information to share, let us know. 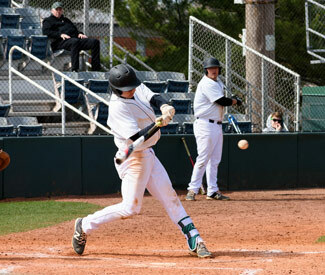 4-Are these baseball pics garbage? I had a hard time capturing action on my first time shooting sports but will get another chance this weekend. There is a double header starting at noon so I will have plenty of light for a lot of innings. Please do let me know how I can improve. A quick read on his responses so far shows there are an infinite number of variables to consider. • Overall, I would suggest being mindful of framing and crops. For example, in Pitcher Cropped he has a great expression, but cutting off the throwing arm and glove I think takes away from that a bit. In the full version, his feet are cut off slightly which is a little distracting to me as well. Having him higher in the frame, aside from the foot issue, I think would also strengthen the composition. Are you a baseball fan with a portfolio full of good and bad examples? Share them with us, and tell us what you have learned. Moderating Team member Marsha Edmunds (meadowlark2) has posted her latest chapter in the Nikonians member profile "I am Nikonians" series of articles. Her subject in this installment is Gold member Sarah Boser (Sarah9) from Pennsylvania, USA. I joined Nikonians last year when my husband, Bob, suggested we register for the Fall 2016 ANPAT to Grand Teton and Yellowstone National Parks. He attended the Spring 2015 ANPAT to the southern marshes, swamps and beaches, and really enjoyed the trip. While it didn't take much to convince me to agree, I was a little apprehensive about whether my skills would be too rudimentary. That definitely wasn't the case. The ANPAT really is a trip that welcomes all skill levels. I learned a great deal from the others on the trip, and also had a great time in a stunning location. The article includes images by Sarah showing us she's definitely not in the "rudimentary" category. They were captured with her Nikon D5500. 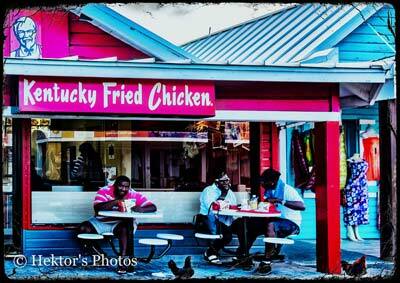 6- Looking to showcase your best images? Nikonians Photo Contest Director David Summers (dm1dave) tells us the Best of Nikonians 2017 Contest is underway. Each year, Nikonians takes great pride in showcasing the inspirational work of the talented photographers who make up our community. This year's contest will continue our tradition of recognizing all of the winners of the monthly Challenges in the Master Your Vision Forums and Online Assignments. Additionally, we will offer four themed segments, beginning in April. 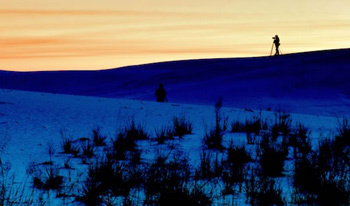 Landscape, Wildlife, Micro, Macro & Close-up, Travel, Digital Artistry Forums and Online Assignments. • The four themed segments will be posted and pinned in the Annual Best of Nikonians Contest forum. Beginning in February 2018, a panel of judges from the Nikonians Masters Society will review and score each image. Winners will be announced before the end of February. The overall winners at the end of the year will be awarded prizes from our Sponsors. Eleven years and an impressive inventory of photo accessories has inspired a new product line from our friends at Think Tank Photo. They call it the Signature shoulder bag series and once again they have extended a special offer to provide our members with free gear and free shipping incentives. 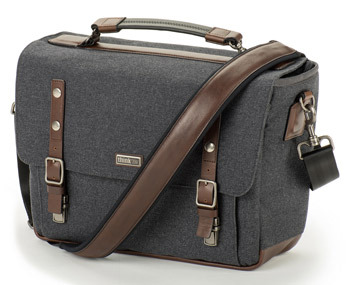 The Signature Series from Think Tank is a modernized version of the classic shoulder bag. The new series features a modern fabric that is soft to the touch and yet is durable. In addition, the zippered flap provides full closure and security to the main compartment, or tucks away when not in use. It is a next generation design for today's discerning photographer. Whether one is a young urban professional or corporate photographer, the Signature shoulder bag is as fashionable as it is functional. Hand sewn, advanced fabrics blend weather protection and durability with the classic feel of fine wool. Genuine leather detailing and metal hardware add character and stand up to the rigors of daily use. Ok-- we all get it. 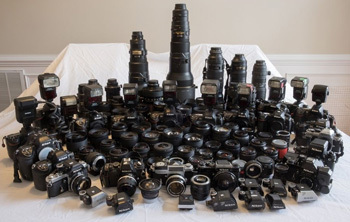 No matter how large our personal collection of cameras and lenses, there will always be somebody out there with an even larger assortment. We've had just such a thing happen in the English Café, where Moderating Team member Brian Wong (blw) and some friends decided to stack and photograph a pile of gear guaranteed to make us drool. Fellow Nikonian Victor Newman (vfnewman) and another one of my friends came over today to shoot a simulation of one of those "Nikon System Portraits" - you know, the sort of thing that goes into Nikon advertising occasionally. Vic and I have both been at this for 35+ years... and you can't get me together with five (actually six) fisheyes and not get a fishy picture out of it! 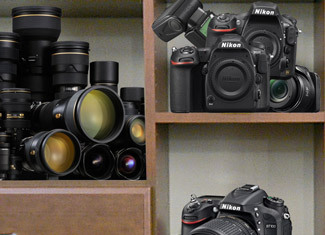 It's a fun exercise in satisfying what we all like to call NAS (Nikon Acquisition Syndrome), and if you follow the post-- you'll see not all the gear in this discussion comes from Nikon. 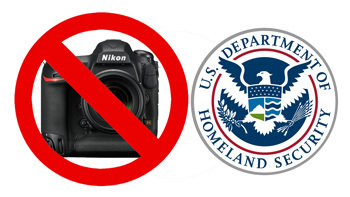 Moderating Team member Ned S. Levi (Ned L) from Pennsylvania, USA is following a recent security measure that will impact some of our members planning to bring their cameras as carry-on luggage for certain international flights. No cameras, no iPads, and much more. Ned's listing of gear is extensive. It includes: Laptops, e-readers, tablets, printers, electronic games, portable DVD players, cameras and other electronic device larger than a smartphone. He goes on to report: The ban applies to nonstop flights to the US from 10 international airports in Cairo, Egypt; Amman, Jordan; Kuwait City, Kuwait; Casablanca, Morocco; Doha, Qatar; Riyadh, Saudi Arabia; Jeddah, Saudi Arabia; Istanbul, Turkey; Abu Dhabi, United Arab Emirates; and Dubai, United Arab Emirates. How do they plan to deal with the lithium ion batteries in most of these devices (many of which, i.e. those in tablets and laptops, cannot be removed) and which are not allowed in checked baggage? 2- What's your Nikkor Trilogy? Three Nikkor zoom lenses combining versatility and quality have long been known as "The Three Kings, The Nikkor Trilogy or The Holy Trinity." Most Nikonians will agree on the concept, but naming those three specific lenses can be difficult. Nikonians founder J. Ramón Palacios (jrp) helps clear some confusion. Each new generation brings in more improvements, more sharpness corner to corner, less distortion, better resistance to flare, improved contrast and color rendition, better definition, higher acutance, less and less chromatic aberration, wider focal range in the wide angle, more precise shutters. Special Hint: The comments section on this article is a must read if you are preparing your own "trilogy." 3- In search of the perfect zoom? You have two Nikon DSLR bodies. One has a full frame sensor and the other has an APS-C sensor. It's time to add a new zoom lens that will work with both bodies. How do you choose the right lens? In the next month or two I'll be upgrading from my AF-D 80-400 to something longer with better optics. Camera will be my D700 if I need 8fps or my D7100. Plan to use the new lens for local wildlife. Currently watching and reading all the reviews trying to decide which lens. Why did you choose the 200-500 over one of the 150-600's or other lenses? You may have the answer for Mark, so make sure you share it with us. 4- Need new gear? Limited budget? 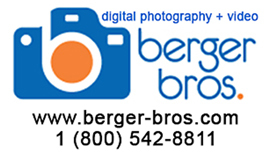 Think "trade-in"
Berger Bros Camera is offering great trade-ins or outright purchase for your used Nikon or any brand photo gear. They see many people trading in older heavy DSLR gear toward new Fuji, Sony or Olympus Mirrorless cameras. They now have in stock new fabulous Olympus EM1 MKII Sony A6500, Sony A7R II cameras as well as Fuji XT2 and coming soon Fuji GFX50S medium format 50mp. They also have spectacular deals on Nikon D810 and put your order in now for the new Nikon Full Frame Body to be announced shortly. Great Personal service: Brad Berger 516-816-4921 or Brad@Berger-Bros.com. or BradBerger@mac.com. 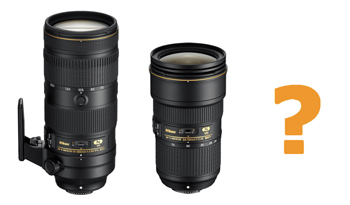 Platinum member Mick Klass (mklass) from Washington, USA tells us Sigma has a bunch of new lenses that may be of interest to those of us who are not sticklers for "Nikon only" purchasing habits. 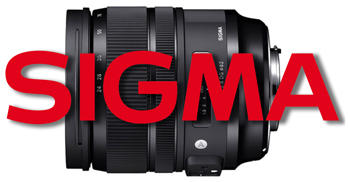 • Sigma has indeed been making amazing lenses. A good friend of mine is doing his photography almost exclusively with the Sigma 35/1.4. This lens is outstanding, even sharper than my Zeiss 35/2, though I prefer the rendering of the latter. • The Sigma 135 seems, for me personally, the most interesting of the Arts - saw some samples today with great looking bokeh. • Lots of great stuff out there right now so I'm giving some thought to refreshing my lens line-up. Are you a Sigma fan? Join the discussion. 6- Are you new to Nikonians? Our community is large and can feel a bit overwhelming to new users, so Nikonians founder Bo Stahlbrandt (bgs) has posted a listing of articles, social media sources and forums currently accessible to our Basic members. Nikonians is a large community with lots of activity in various places. As a first time visitor, we know it can feel a bit overwhelming, so here are some areas that you might want to look at for starters. None of these require you to sign up with the community (which is free on its "Basic" membership, by the way). Check out his article, and make sure you scroll down to the very bottom and look for a link to an overview for anyone who wants to freshen up on the skills. 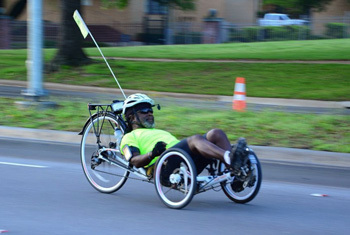 Silver member Bill Stewart (LightMeter) from Texas, USA is trying to perfect his panning skills. He shows some examples, along with posting his shutter speed. Can you point to any specific shutters speeds or techniques that will improve his final product? Yesterday I shot a lot of images of the bike ride. I set the camera to shutter priority at 1/80. Out of about 200 images I got 10 or so that are sharp. What can I do to get smoother panning and go slower on the shutter speed? What about a monopod? Anyone pan with a monopod? In panning cycling races I started out shooting at 1/60 and 1/80, but didn't have much success until I increased the shutter speed. I had better results at 1/125 and 1/160. At the last cycling races I shot on February 26 (See my March 1 post titled "Downtown cycling races") I used shutter speeds between 1/160 and 1/250. I used a D750 + 70-300 f/4.5-5.6 VR with VR turned on. I never use a monopod. Do you have some samples and panning advice to share? 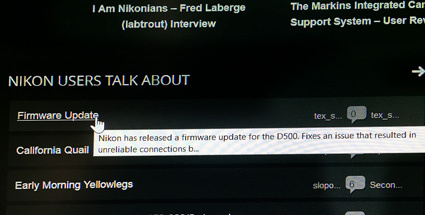 Our thanks to Gold member Mike Rheault (mikerofoto) from Ontario, Canada for his comprehensive listing of recent Nikon firmware updates. 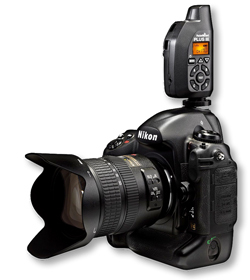 His listing covers many cameras and even the WT-7 wireless transmitter. Check his post for brief explanations of the individual upgrades and their enhancements. Scroll down on that post for a link to The Nikon Download Center. 9- Multiple programs for same task -- redundancy or strategy? Nikonians Academy Director Eric Bowles has started a thought-provoking discussion on image processing. It will be of great interest to those members who are using more than one program to accomplish the same task. 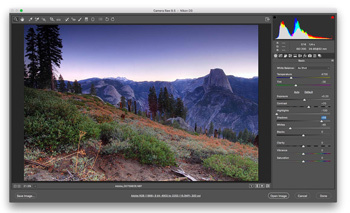 Many of us use one program for 99-100% of all image processing. Among those that use multiple programs, it is usually part of a standard workflow that converts in one program, processes in a second, and does some specialty tasks in a third. This post is for those that normally use multiple programs for the SAME task to produce different results. For example, are you using multiple RAW converters depending on the image - ACR and Capture One as an example. Or Photoshop and Capture One or Elements? What kinds of situations cause you to choose a specific product? How does this impact your personal workflow? Join the discussion and you may find an approach that could improve your workflow. What's your favorite kid pix Nikon? It's an unwritten rule of thumb that the person in any family who is sporting Nikon gear is the official family photographer. Number one on the shooting list will always be the kids. I have purchased Nikon equipment almost exclusively since 1968. My first Nikon was a Nikon FTN. I now own D200 D700 D800E. Most of my photography is of children, (grand kids, relative's children, etc). I have been thinking about going to a D5, D810 or maybe waiting to see what replaces the D810. 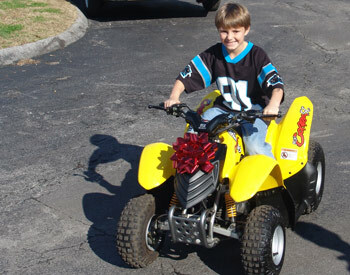 From what I have been reading, it seems the D5 would be the best for children and for their sports. My children grew up during the 80's and 90's. I took lots and lots of 35mm pictures at my son's soccer games and my daughter's soccer and fast pitch softball games with various 35mm Nikons (F100 being the last one I bought). Now that their children are beginning to play sports I would like to have the best camera for their sport pictures and to chronicle my newest grandson's life who is to be born in 2 days. I would appreciate your opinion. If you are the official family photographer, what are you using? 2- Too Many Images? Need a new Hard-Drive? Gold member James Buch (jimray) from Oregon, USA has hit the ceiling on storage space for his software and images, and he's shopping around for an external hard drive. Have you solved that same storage problem? I'm about out of space for backups and will soon add an external hard drive to replace the 4TB Seagate I am currently using. Operating system is Windows10, apps and system on 256 SSD and files on an internal 2TB drive. C drive is backed up to one Seagate 2TB drive and the files are backed up on a separate 4TB Seagate. I am thinking about replacing the 4TB external drive with an 8TB drive. Is there one brand I should consider or conversely not buy? 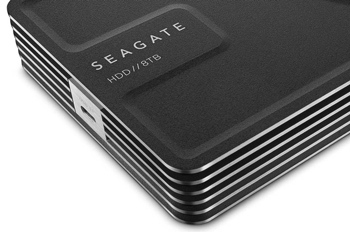 My understanding is Western Digital and LaCie are now owned by Seagate. Is there really any difference between the three? Thanks for your suggestions and comments. Do we have any 8 terabyte external hard drive users with an answer for Jim? Meanwhile, across the big pond in Northern Ireland, Gold member Antonio Dinis (adinis) has another kind of storage problem. His collection of photography gear is getting harder to organize. He's looking to either buy or build a solution. How do you store your gear? I have quite a few items that I would like to properly store. Currently I store my items between a camera backpack, sling camera bag and a drawer in my kitchen. My camera, battery grip, l-bracket and 4 out of the 6 lenses are stored in the camera backpack. This makes my backpack extremely heavy. In the sling bag, I have 2 lenses (hoping to sell one of them soon), a flash and microphone. In the drawer I have chargers, batteries and cables. I'm looking for suggestions on what I could use to keep ALL of my gear in one central place, be it something I would need to buy or a DIY project. The one good thing I would not have to worry about is humidity as I live in Northern Ireland and the weather is quite cool. Whatever is to be suggested needs to be able to hold my largest item, the Tamron 150-600mm. Thanks in advance and looking forward to your suggestions. PS. I'm sure someone will suggest a Pelican case but I would like to keep cost down. Suggestions so far include everything from closets to auto mechanic tool chests. If you have a suggestion, please try to include a photo. Digital cameras can exaggerate shadows and highlights, ruining your photos with too much contrast when taken in sunlight. Those harsh shadows and highlights need to be tamed. 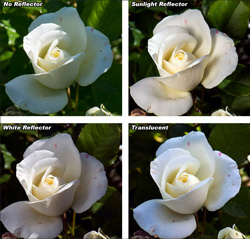 PhotoBert's answer is a simple double-sided reflector called "Sunlight-White." This reflector is a convenient 22 inches in diameter when open, but folds up and stores in a 9-inch diameter pouch - perfect for most camera bags. And it weighs less than 5 ounces! While you're at it, scroll down for Nikonians exclusive bargains on the ProDot Shutter Upgrade, the ROR lens cleaner, and PhotoBert's legendary Nikon CheatSheets. Moderating Team member Marsha Edmunds (meadowlark2) has posted her latest member profile in the "I am Nikonians" series. Her subject is Silver member Fred Laberge (labtrout) from Connecticut, USA. I shot film for several years in the 1970s and '80s as a photojournalist. In fact, my wedding gift from Susan in 1973 was a Nikkormat FTn, my first SLR. I've always used Nikon cameras, mostly F2's in the late '70s. But over time I transitioned into becoming an editor and writer. Then my job at Aetna took me in a new direction, managing the company's financial and crisis communications, so my cameras and any serious photography got put on the shelf for a number of years. 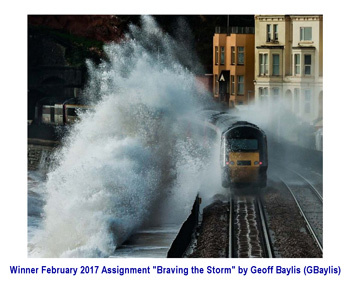 Check the article for more, including samples of Fred's photography. And make sure you scroll down to the comments section and give Marsha some kind words for her great job so far on the "I am Nikonians" series. So-- You own a Nikon DSLR and a sophisticated drone, and your next shoot will require extensive travel. Wouldn't it be nice if someone came up with a high-quality transport bag that could carry your drone and your camera gear? Our friends at Think Tank Photo already have the concept covered. 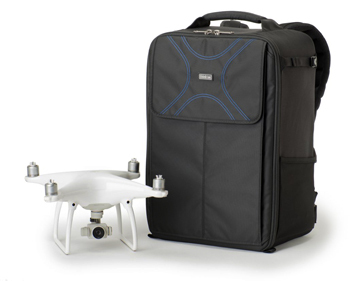 They call it the Airport Helipak V2.0 backpack for DJI Phantom. Its refined design is carry-on compatible for both U.S. domestic or international airline travel. Use this link to get full information while using your Nikonians free gear and free shipping advantage. You should also want to check out their special bag for the popular new DJI Mavic Pro drones. Anne DePietri (adepietri) from New York, USA is looking for a decent wireless shutter release. Her research has uncovered many options. Moderating Team Member Brian Wong (blw) posted an extensive breakdown. If you're in the market for one of these gizmos you need to read his response. The Cadillac solution: PocketWizard Plus-III's. At $135 each (and you need two, plus a cable), they are not cheap. I switched to them after the 4th YN cable died about 18 months ago. As one would expect from the gold-plated price (and by the way the cables ARE gold plated), the PWs are bulletproof. They also operate at a kind of ridiculous 5x the distance of the lower cost ones. The cheapies all go at least 300 feet or so, which is probably enough for 98% of all applications. I've run the PW's at longer than 300' just once, although that once was close to 1500' according to Google Maps. Like I said--that's just a short sample. Go to the discussion for the full version. 8- Need new gear? Limited budget? Think "trade-in"
Nikonians founder J. Ramón Palacios (jrp) has announced the location for this year's Fall Annual Nikonians Photo Adventure Trip (ANPAT). 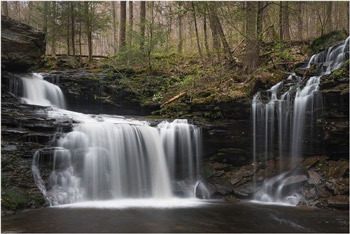 Some call it the most beautiful National Park in the country, a tiny gem compared to its larger siblings. Acadia National Park is spectacular. 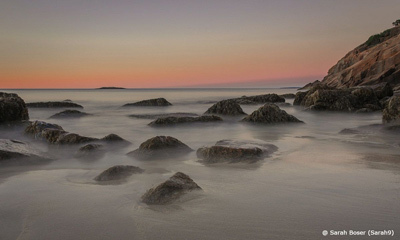 In addition to the rugged and beautiful coast of Maine, there are also streams, lakes, fishing villages, etc. The dates are perfect for autumn color. Stay tuned to the Nikonians Annual Photo Adventure Trips (ANPATs) forum for breaking news and updates on the Acadia adventure. Andrew Armenti (aaa147) from California, USA is a new member with an old question. We've all been dealing with the same challenge ever since we learned how to send a photo with our computers instead of in an envelope. What is too big? What is too small? What is the best way to send photos (JPGS) that were edited in Lightroom via the web without losing quality? So far it seems like dropbox may be the best option. Moderating Team member and Director of the Nikonians Academy Eric Bowles (ericbowles) has a detailed breakdown to share. When you get larger than 4 MB, you need to start thinking about sharing it using something other than email. Email programs and hosts vary on how large files can be. My host lets me send 10 MB files, but they are slow and are not always received. So, I normally send web sized files. For larger files, Dropbox is a good option and it is what I use. If this is something that comes up frequently related to events, some of the photo sharing sites have tools. I use Zenfolio, but there are download features in some of the others. Check here for the full version. 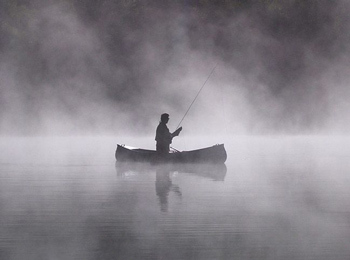 Moderating Team member Dan Wiedbrauk (domer2760) from Michigan, USA is always on the lookout for ways to create examples of digital artistry from standard images. One of his most recent images sparked an interesting question. Now that you've created that image -- what do you do with it? How are some of you using these images? I'm mainly interested in if/how you print/use these. Do you print and frame them? Print on canvas? I've done some work like this, and to me they look kind of funny if I just print a "painterly" image on glossy paper. I know it would be highly variable -- for example, I can imagine some of the images would look great on metal, but I'm not sure about the more painterly ones. Thanks, and keep up the beautiful work! By the way -- The image we're using for this discussion topic is by ---drum roll please --- Dan Wiedbrauk (domer2760). He posted it here. Wouldn't it be nice if someone came up with a high quality transport bag that could carry your drone and your camera gear? The contoured adjustable harness with lumbar support, articulated air-channel, removable padded waistbelt, and height-adjustable sternum strap enable comfort for travel into remote areas. Did we help kill Popular Photography Magazine? It's a sad day when traditions and legacies fade away. Gold member Yale Fogarty alerted us to the passing of Popular Photography Magazine. Did online communities like ours speed up the eventual demise of this famous photo magazine? • My late brother-in-law had a subscription for many years, and I used to mooch his back copies all the time. The last one I read was about 10 years ago. A few months ago, I picked up a copy in a supermarket to flip through, and didn't even bother buying it. It was 75% advertising, and the content quality was mediocre. A big downhill slide from what it used to be. • I am surprised it lasted this long. I think the days of the monthly photography magazine are long over. Magazines are a venue that is obsolete. Portability used to be one of the advantages of magazines. You could fold it up and put it in your back pocket or bag to read while you were out. But now that you can read pretty much anything on a tablet/phone, where is the actual advantage of a magazine these days? • Sad indeed. They put up a good fight and they were our friends. 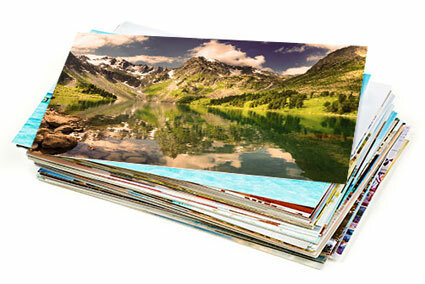 If you have a favorite Popular Photography Magazine experience, share it with us. The Nikon D750, debuting in September 2014, came in at a suggested retail price of $2299.95 USD (body only). Currently, that same camera is showing an MSRP of $1,899.95. Does this mean the D760 is ready to launch? Our friends at LetsGoDigital think so. Incorporate the same 24.3-megapixel image sensor. New is the possibility to use slower shutter speeds. 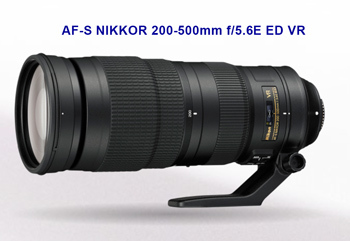 The current model has a maximum shutter speed of 1/4000, the D760 goes to 1/8000. 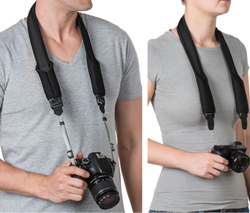 Named as one of the "Best Camera Add-Ons of 2013" by Men's Journal this tiny accessory can improve your camera handling. 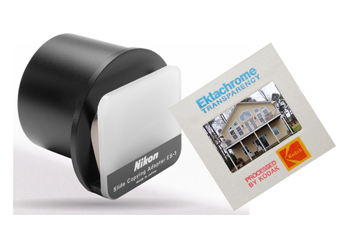 Best of all, it's inexpensive, easy to attach to your camera and now available at a discount for Nikonians. Upgrade your shutter. Each package contains 2 shutter upgrades (choose RED or BLACK). 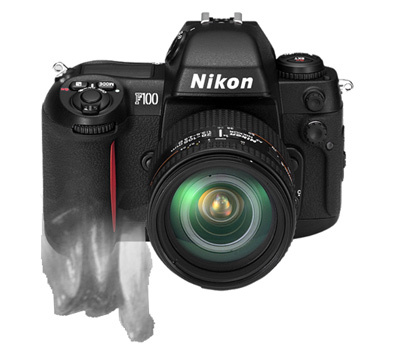 Fits all Nikon DSLRs. 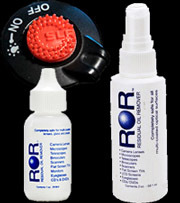 Also, check out the world's best lens cleaning solution used by Leica, Hasselblad, Bausch & Lomb & NASA. Save 20% on our legendary CheatSheets; 10% on Helicon Software and 5% on accessories. Get your discounts on all items mentioned above with this link. If you have a habit of going straight to our forums when logging in, you are skipping our Homepage. In that case, you are missing some new features like our new Market box, Winner's Gallery enhancement and mouse-hover hints. 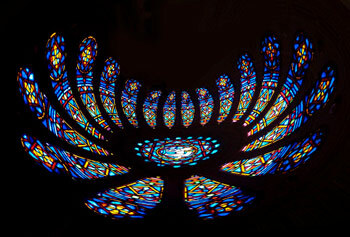 Take a look at the upper right corner and you will see a prominent positioning of the portal for our Winners' Gallery. We are all looking forward to soon see many more, excellent images being showcased here. Finally, (and you will love this) --- Moving the mouse over any item in any box will give you a hint showing more info from the post, article or image. Give it a try. Did you like that great post on fixing a camera malfunction or the one about improving your photo composition? Too bad we don't have a "Like" button.-- Wrong! 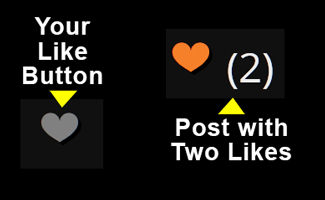 -- We now have a "Like" button. When logged in, you can find a small heart icon at the bottom left corner of each message in the forums. Clicking on it will signal the author that you liked what she shared or wrote. Please do note: This does not replace the communication of writing whole sentences Always write and show your gratitude when you are helped, not only "liking" it. At the top of the pages, you will find the same heart symbol again. Clicking on it will bring you to your overview of recommendations and likes. This function has been brought to you by the hard-working back office team, specifically Zita and Dmitry have done a hands-on job. P.S. if you dislike being recommended, you can opt-out from that in your profile under preferences. 6- What's in a name? Mary Myers (Pistil) from Washington USA is organizing her image collection in Lightroom and she's wondering if we have any personal preferences for image names. I do like the year-month-day system (20171305 for example), and will probably start with that so the files are in date order. I plan to scan in old photo negatives and slides from my pre-digital life, I thought I can usually at least guess the year, they could be entered as 19890000 or if month is known 19890500. That seems do-able. Old historical photos I inherited from 1920's could be problematic (maybe 00000000?). Check her entire long post and if you have any suggestions, feel free to add your advice. Yuck!! You pick up one of your older cameras after many months in storage and it feels like somebody sprayed glue on it. What gives? My F100 hasn't been used for the last six months. It sits on a shelf in my bedroom closet. I grabbed it a couple of nights ago to make sure it was still working and discovered the rubber (all of it) has become sticky. I read somewhere that 91% rubbing alcohol was the cure and after rubbing with a damp rag for an hour or two while watching TV I couldn't tell a difference. I took it to my local camera store to see if they've had experience with sticky rubber and they had not. As an experiment, I put a little bit of Armor All on a rag and gave it a good rub down. The camera looks new with shiny rubber and the rubber is less sticky. I'm still looking for a permanent cure. Do any of you with a F100 have a solution? A few years ago, my F5 developed the sticky rubber and I sent it to Nikon for a full CLA including rubber replacement and I haven't had a problem since (knock on wood). Have you run into this problem? How did you fix it? Gold member Don Burton (bug) from Michigan, USA has a puzzling dilemma. 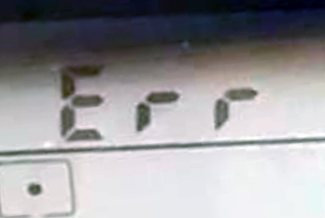 His Nikon D610 gives him an error message and locks up when using one particular lens. Yet... that same lens works fine with his Nikon D810. Sound familiar? I'm getting an error message on my D610 when using my Nikon 24-120 f4 lens. When I close down the aperture starting around f/10 and definitely at f/22, I get the shot but the camera locks up with an error message... then I turn the camera off & on and it's good for a single shot between f/16 to f/22. The camera and lens works great with apertures between f/4 to f/10. Yes, I used a micro cloth to rub contacts, both 610 camera and 24-120mm lens. The pictures taken at f/22 are correct exposures, but need to turn the camera off and back on before the camera is operational. The same 24-120 lens work great on my D810 at all f-stops. I'm ready to ship the lens to Nikon, but wanted to check here first. We started with sad news about a favorite magazine, so let's conclude with a lighter note. If you haven't been checking out our recent Joke of the Day postings, you're missing some fun. Platinum member Hektor R. Fuster (Hektor) from California, USA started the most recent edition. Bill walks into a post office one day to see a middle-aged man standing at the counter enthusiastically writing addresses on bright pink envelopes covered with hearts. He then takes out a scent bottle and starts spraying perfume over them. Bill's curiosity gets the better of him and he walks over to the man and asks him what he's doing. "I'm sending out 1,000 Valentine's Day cards signed, 'Guess who?'" says the man. "Why on earth are you doing that?" asks Bill. "Because I'm a divorce lawyer." replies the man. Looking for some laughs? Looking to share a good chuckle? Join the fun. 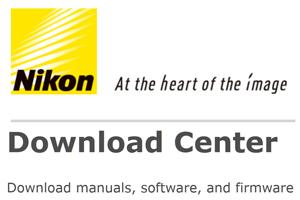 The Nikon Download Center is full of upgrades. Popular in many online forums, the ability to show you "like" a post has been absent from our forums-- Until now. This function has been brought to you by the hard working back office team, specifically Zita and Dmitry have done a hands-on job. Our Homepage is now showing the results of user requested tweaks. Finally (and you will love this) --- Moving the mouse over any item in any box will give you a hint showing more info from the post, article or image. Give it a try -- Open our Homepage and start hovering.